In this category, we feature atypical Halloween events in Los Angeles. These are usually less interested in scaring us than in piggy-backing on the October season to create spooky variations on events that could take place year-round, such as a historical tour with Halloween overlay or a pub crawl with a zombie theme. Halloween & Mourning Tours at Heritage Square Museum. This annual event offers a tour through actual Victorian mansions, dressed up to reflect the era's attitude towards death, dying, funerals, and spiritualism. 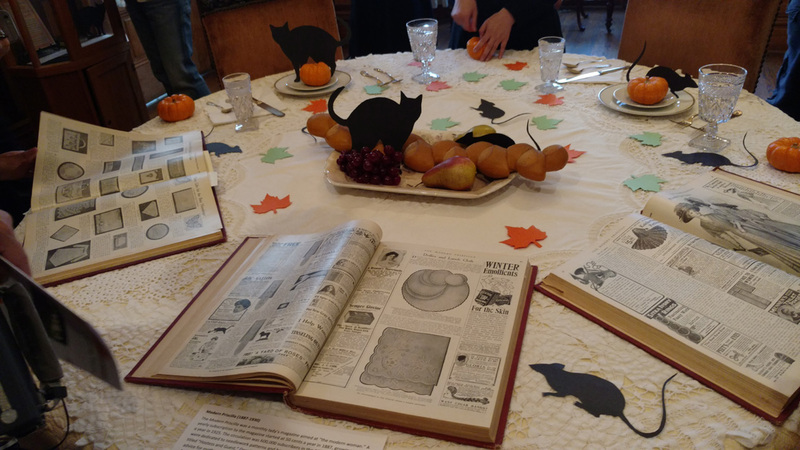 Though the format remains the same from year to year (a funeral procession, a séance, one house decorated for a period Halloween party), the 2016 version showed that Heritage Square Museum revises the details every Halloween, keeping the event fresh and worth revisiting. Our favorite recent additions were information debunking spiritualism and the Diableries 3-D photography in the Colonial Drug Store. Long Beach Zombie Fest (pictured at top). Though not officially billed as a Halloween event, this festival takes place in October, and it's loaded with zombies, so it certainly qualifies. For 2016, there were numerous attractions: a zombie shooting gallery, a virtual reality "ride," a Walking Dead interactive experience; there was even a walk-through maze (Dead End: Unhallowed), bringing the Long Beach Zombie Fest closer to being a typical Halloween attraction than the other nominees. Paramount After Dark Tour at Paramount Studios. In its second Halloween season, this night-time version of the Paramount Studios tour offered a lengthy walk through sound stages allegedly haunted by a variety of ghosts, including Heather O'Rourke. Not only that, there was also a creepy diversion through the adjacent Hollywood Forever Cemetery to visit numerous celebrity graves and tombs. 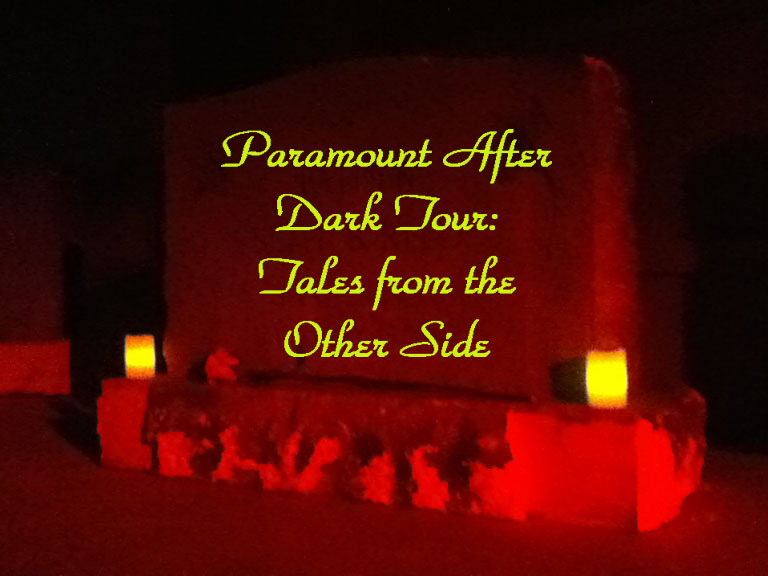 Perhaps more appealing to film fans than haunt-seekers, the Paramount After Dark Tour was nonetheless filled with fascinating sights and stories of a macabre nature. 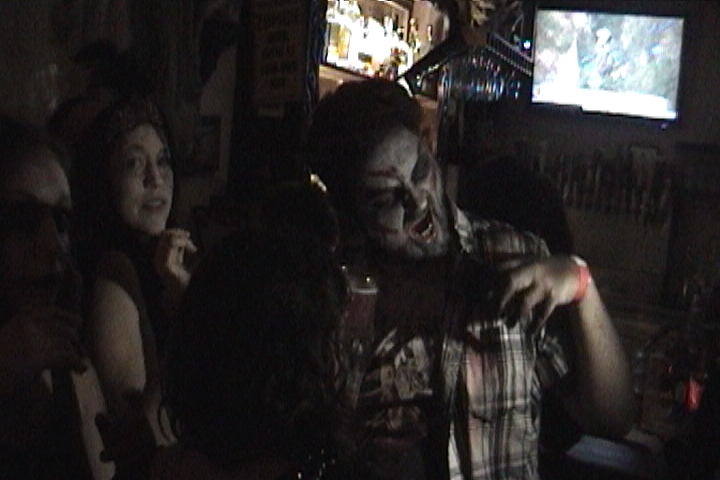 Zombies growl at Ye Olde King's Head. Santa Monica Zombie Crawl on Third Street Promenade. In its fourth year, offered a welcome excuse to dress up like the living dead and then proceed to drink oneself to a point where the distinction between "living" and "dead" was almost non-existent. Starting on the Santa Monica Pier and moving to various bars on and around Third Street Promenade, the Santa Monica Zombie Crawl was a bit like a migrating costume party, whose tone changed from one location to the next, from loud and brash to quaint and cozy (the latter courtesy of our favorite stop, Ye Old Kings Head pub). 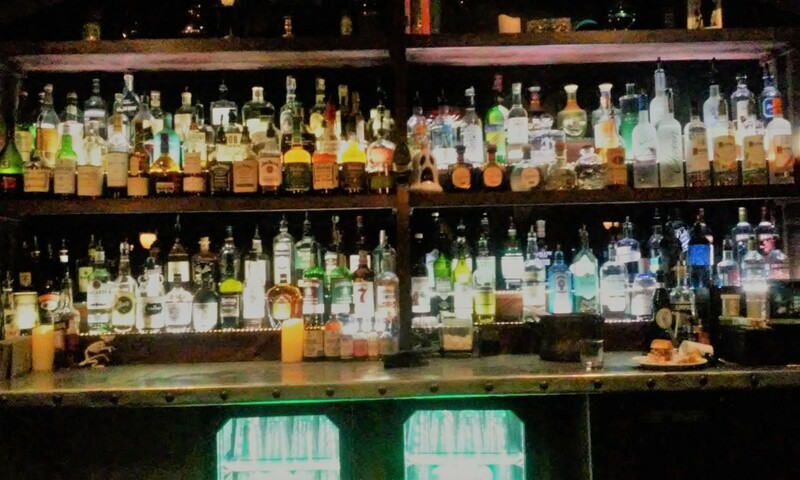 Drink specials, tasty food, and zombies - oh my! This is a tough decision: Not only are all the nominees worthy, but also they are diverse, creating apples-to-oranges comparisons. In the end, as entertaining and/or educational as the other events were, we simply experienced more pure Halloween joy on the Santa Monica Zombie Crawl.